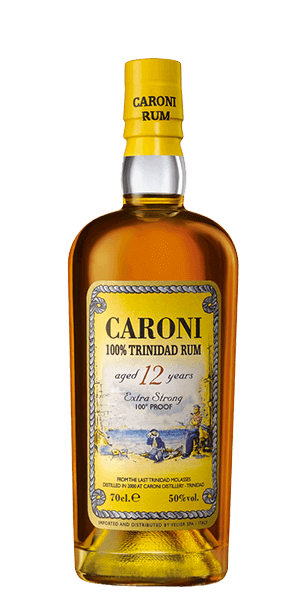 This is it … there will be no more… Caroni 12 YO Trinidad Rum is the absolute last of the Rum produced in Trinidad by the Caroni family. The story of Caroni would make a great Tennessee Williams play. We’ll call it “A Distillery named Caroni.” In this play the tragic hero would be the distillery itself, whose name—Caroni—means “dear” or “precious” in both Spanish and Italian, and means “the flesh” in Latin. Can’t you just feel the drama building up? You see, Trinidad and Tobago are two sister islands that form one country just off the Venezuelan Coast. Historically they produced tons of sugar cane and everything that went with it … including Rum. In fact, at one point there were more than fifty large Rum distilleries in operation there. Well, what once booms is destined to bust, and the sugar cane plantations of the islands collapsed. No local sugar cane means all of those distilleries were now forced to import it to keep production up. But that greatly increases costs. Soon, the economic laws of supply and demand came to bear. In 2000, there were only two Rum distilleries left: Caroni and Angostura. Caroni closed in 2001 and their stills sold to Angostura. So there is almost no true Caroni Rum left, but…. This is it. There will be no more. Caroni 12 YO Trinidad Rum—available now—is the absolute last of the Rum produced in Trinidad by the Caroni family. They took the last of the Trinidad molasses, ran it through the stills, put it in the oak barrels, and then shut the doors forever. Twelve years later, someone said, “Hey … what’s in all those old dusty barrels over there?” Bingo! What does Caroni 12 YO Trinidad Rum taste like? The Flavor Spiral™ shows the most common flavors that you'll taste in Caroni 12 YO Trinidad Rum and gives you a chance to have a taste of it before actually tasting it.